As a coach, it’s not surprising I continually tout the virtues of questions. The human brain is a hugely complex and ever-changing connection machine. And its processes of making connections (and connections on connections) and forming maps (and maps of maps, of meta-maps!) means that not only are our maps ever-developing; our maps are also nothing like each others for the “same” idea. So I can’t know what you’re thinking – or know what learning you’re seeking – or know the way forward most appropriate for you – without first asking a question. But if we’re serious about supporting another person’s development in those key areas of thinking, learning and action, any old question just won’t do. Our questions need to be powerful, progressive and insight-inducing – and that’s rarely the case. Here are 6 question types that close-down the conversation, instead of opening-up the thinking. 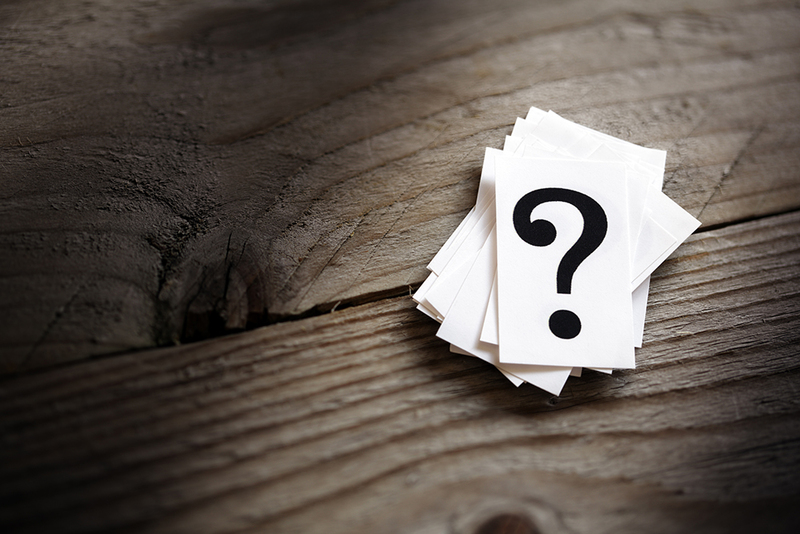 Suggestions masquerading as questions are probably the most common questions people ask. Why don’t you … ? Have you considered … ? The problem with suggestions is they are limited to our own thinking and experience; they are our idea, not the other person’s; they rob the other person of the motivating feel-good neurotransmitters released when we have a great idea. Listen-out for your own advice giving. Asking questions about the problem can, at the right time, can generate useful conversation. But generally, problem questioning only strengthens the circuits focused on the problem – and so finds more problems. What are the issues in this situation? Why do you think this isn’t working? Problem questioning is rarely the best approach and never the place to start. There is a time and place to get into the details. But details questioning actually blocks insights and new ideas. We get lost in the details, we lose the clarity that comes with distance and our focus shifts away from the big picture. Can you list all of the elements in this situation? What exactly happened? What exactly was said? Getting into the details too early inhibits insights and can miss-out on alternative options. Keep the thinking up and out of the details as much as possible. Great ideas are most-often emergent and when we’re thinking expansively and at a high-level. Forcing the conversation into action too early effectively bypasses the thinking processes required to get to an insight. Why don’t you try … ? Getting to the action before the other person is ready will miss-out on the motivation and inspiration that comes with a great idea. Wait until the other person is ready to talk actions. Telling people how to think leaves no room for people to arrive at their own ideas. Why don’t you think about the big picture more? What about focusing on the positives here? Telling people how to think makes the erroneous assumption we know best for the other person. We don’t. and not only is it a waste of our time and energy to tell people how to think – it’s an inhibitor for their thinking, too. Help people to think better, not tell them what to do. Saving the best till last: asking “why?”. Why didn’t you take that action? Why would you want to do it that way? What did you do to cause this issue? Asking “why” – in almost any form and regardless of your polite tone, mitigating softener phrases and coming from an authentic desire to help – tells the other person you need explanations, justifications, reasons and excuses. It also lodges us firmly in the past and keeps us out of the present and future. Focus on the solution. Focus on the future. And don’t ask “why”. So what questions are we left with that unlock great thinking, rather than suppress it? Here are a few examples. Vision Questions: What do you see as possible in this area? Option Questions: What are some alternatives for moving you forward? Planning Questions: What are the big milestones for achieving your goal? Action Questions: Based on your new idea, what would be the next action? Learning Questions: How could you apply this new learning elsewhere? And a final powerful addition to your question toolbox: silence. The magic of silence is that it gives the other person space to think; and the option to answer the question they wish you’d asked! Silence can generate some insightful thinking. Questions are not only how we gain insight into another person’s thinking; they are also how another person gains insights into their own thinking. For that reason, a great question is far more powerful than a great answer. We all think, learn and act with the most conviction and purpose when the idea is our own. Have questions be the answer. The right questions.